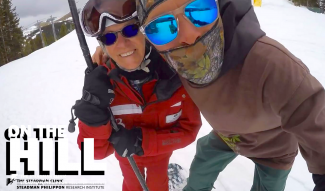 VIDEO: This past week was one for the record books, with just about every Summit County ski area recording two or more feet of fresh snow in just five days. Z Griff cruises Breckenridge after the final round of snow brought 11″ overnight. It was a submarine day out there. Summit Daily field report: It’s a stunner of a day outside but still cold enough to keep the snow soft. Get out for a taste before the warm weather returns. Weather: 34 F, 10 F. Sunny. Lift lines: It’s hard to tell but chances are all the fresh during the week will bring massive crowds this weekend. Be smart about the lifts you ride. Breakdown: Nothing like a sunny Saturday after a week of snow. Enjoy.